Nearly 60% of all new jobs created by foreign investment in Yorkshire and the Humber last year came into the Sheffield City Region (SCR). New figures from the Department for International Trade show that foreign investment into the SCR leapt by a massive 73% in the financial year to the end of March 2017 compared to previous 12 months. This makes it the most successful year for international investment in the region since the SCR was created. The Government figures, produced annually, show that there were 46 investments by foreign businesses, creating 2,308 new jobs and safeguarding another 217. Another five projects were UK-wide investments at multiple sites and the Department could not give the numbers of jobs created by region. The successes are broken down into expansions which comprise 47% of the investment; mergers and acquisitions make up another 18%; and new investments 36%. Yorkshire and The Humber recorded 132 investments, creating 3,872 new jobs and safeguarding another 1,079. The latest Government figures back up the picture painted by figures released earlier this year, compiled by the SCR, which represented the most successful year for foreign investment into the region since the SCR was established six years ago to drive economic growth and jobs. In the Sheffield City Region, the key automotive sector attracted six projects; metals, minerals and materials five; and advanced engineering four. Teams from the regeneration departments of the nine local authorities are supported by the region-wide SCR Trade and Investment team to work together to attract foreign companies from overseas, and others already based in the UK looking to relocate and expand. Rachel Clark, director of trade and investment for the SCR, said: "These excellent figures are the exciting result of collaborative work with our local authority and business partners and the Department for International Trade. It's rewarding to see a team effort bringing in such fantastic returns in terms of jobs and economic growth." Headline-grabbing investments include Amazon's fourth warehouse in Doncaster – the largest number it has in any one place in the UK, and the announcement of the creation of high-value jobs by supercar manufacturer, McLaren Automotive, and US aero giant, Boeing. Recent foreign investments relating to Rotherham include the £330m deal that saw ENGIE, a French headquartered multinational firm that specialises in electricity generation and renewable energy, acquire Keepmoat's Regeneration division which includes a significant operation in Rotherham. 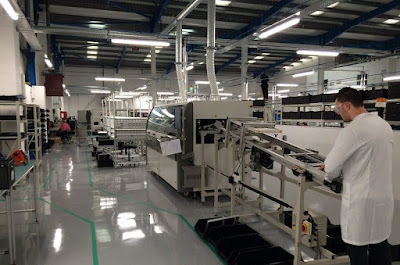 Earlier in the period, one of Rotherham's manufacturing success stories, Pyronix, was acquired by China's Hikvision, the world's largest supplier of video surveillance products and solutions. In January, Rotherham manufacturing firm CMD Ltd was acquired by US firm, IDEAL INDUSTRIES, INC. for an undisclosed sum. In November, Rotherham's Envelopemaster was taken over by a rapidly expanding division of a German industrial firm, VP Group. 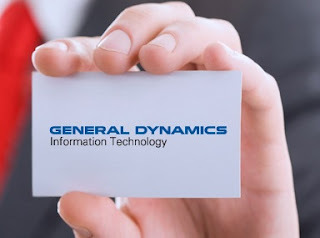 Last August, the global aerospace and defence company, General Dynamics, took on new office space in Rotherham for its UK-based IT business. Also during the period, GLASSOLUTIONS, part of French multinational Saint-Gobain announced that it is restructuring its contracting business that is centrally based in Rotherham, confirming an investment of £5m and a restructure of its operating model.